I have been stranded on my couch for the past 4 days with the worst flu I have experienced in 10+ years. This illness and time of rest has provided a great deal of insight and inspiration. Who would have thought something so awful as the influenza virus could provide an opportunity for a new blog series? As my husband reminds me their is always a silver lining to every experience. A silver lining to being laid up with the flu is the prospect of being healthy, productive and back to your normal self. All the down time has allowed free space in my mind to think of new ideas. Several days of feeling uncomfortable have taught me to appreciate the feelings of comfort. Early this morning I was unable to sleep due to my various flu related symptoms. I started thinking about being uncomfortable. How we as humans don’t like the feeling of being uncomfortable. 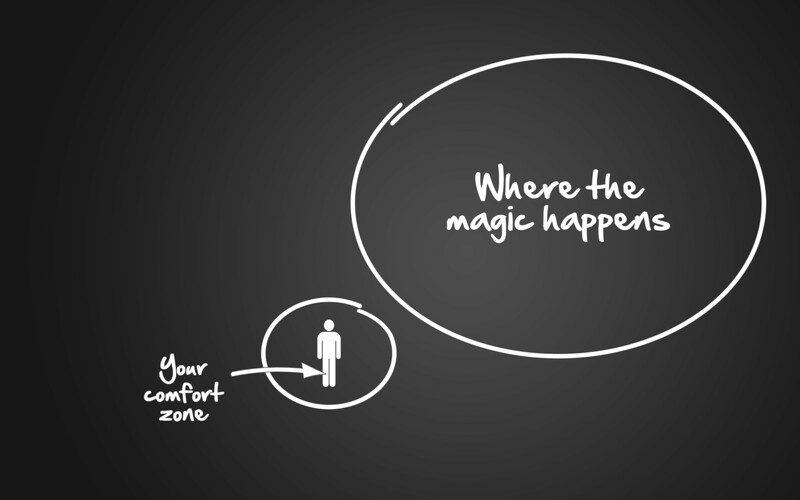 We do whatever we can to stay in our comfort zone. I am often guilty of being one of these humans. Writing this blog post made me a little uncomfortable. The topics in this blog series may also bring up feelings of discomfort. I know that growth, strength and learning often do not come from a place of comfort. Playing disc golf is fun! 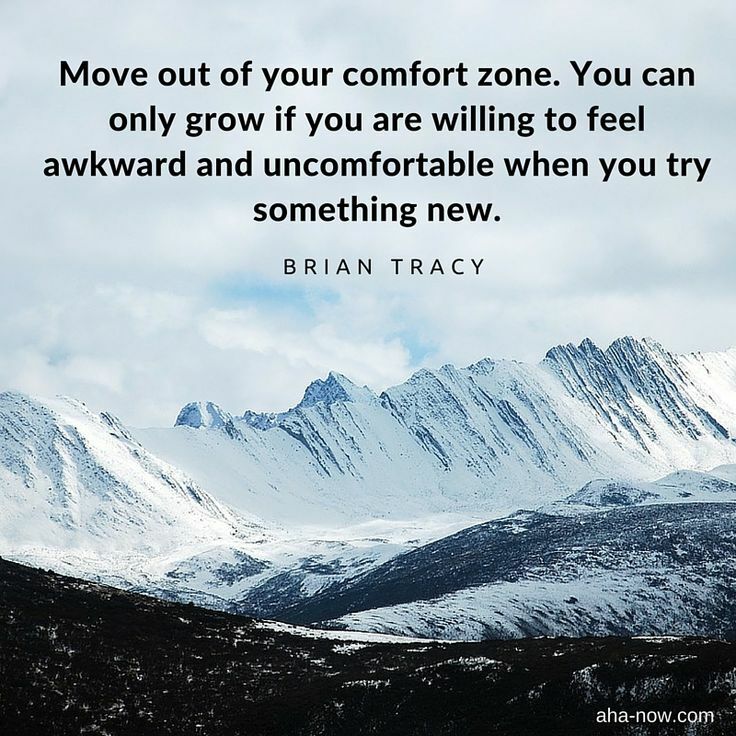 BUT it can also be uncomfortable–whether it’s learning a new part of the game, competing, weather, mental aspects or any other life nuances. Even though disc golf is our favorite activity, it’s not glitter & sparkles all the time. I invite you to our monthly series where we will cover different disc golf topics and situations that may make you feel uncomfortable. 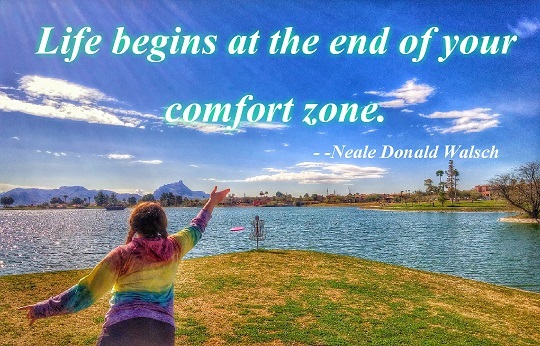 It won’t hurt it will only help all of us in this diverse disc golf family to grow, step outside our comfort zone and learn to get comfortable with appreciating the uncomfortable.